Citation: Logunova NN, Shepelkova GS, Apt AS (2017) Regulatory T-Cells:Mechanisms of Immune Response Inhibtion and Involvement in the Control of Tuberculosis Infection. 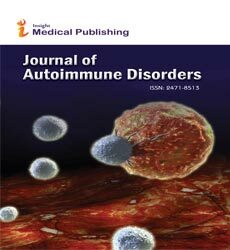 J Autoimmune Disord Vol 3:51. Copyright: © 2017 Nadezhda NL, et al. This is an open-access article distributed under the terms of the Creative Commons Attribution License, which permits unrestricted use, distribution, and reproduction in any medium, provided the original author and source are credited. Studying regulatory T-cells (Treg) is the hot spot of immunology during last 15-20 years. Discovery of the Foxp3 transcriptional factor [1-3], the key element of Treg differentiation, allowed starting a detailed analysis of these cells in vivo. The role of Treg cells in maintaining immunological tolerance and controlling autoimmune reactions was discovered in early works [4,5]. In parallel, it was demonstrated that, although depletion of Treg cells results in autoimmune responses predominantly in lungs, skin and liver, these cells actively support immune homeostasis not only in the periphery, but also in lymphoid organs, where they prevent activation of effector T cells (Teff) [1,6,7]. For immune response suppression, Treg cells use both inhibitory cytokines, (e. g., TGF-β, IL-10 and IL-35) and a set of surface molecules (CTLA-4, LAG-3, TIGIT, PD-1, ÃÂ¡D25, ÃÂ¡D39/73 and others) which interact with target cells, most often Teff and dendritic cells (DC).Thus,Treg’s physiological activity is released by both distant and contact mechanisms . In this short review, we will describe the main mechanisms of immune suppression used by Treg and the role of these cells in immune homeostasis and pathogenesis of tuberculosis (TB) infection. The dynamics of activation and inhibition of inflammatory and immune responses during TB course is an important issue. It is likely that early in infection the host benefits from the low level of Treg activity, allowing establishment of specific immunity against the pathogen; however, during the chronic phase of infection it is important that Treg restrict Teff activation thus limiting inflammation and tissue destruction. Along with this required balance, we will also shortly discuss the perspectives of therapeutic application of Treg cells for TB treatment. To prevent activation of antigen-presenting cells (APC) Treg utilize a range of different mechanisms schematically displayed in Figure 1. Binding of the CTLA-4 molecule expressed on Treg surface with its ÃÂ7 (CD80/CD86) ligand on APC surface diminishes the expression of the latter, which, in turn, inhibits co-stimulatory signal provided by CD28 to Teff cells . In addition, CTLA-4 induces production of indoleamine-2, 3- dioxygenase (IDO) in DC. In the local microenvironment, IDO catabolizes tryptophan. Not only tryptophan is important for Tcell proliferation, its catabolism results in accumulation of toxic substances, such as kynurenin, which induces apoptosis in Teff cells [10,11]. Another suggested mechanism of immune response inhibition is suppression of DC maturation via LAG-3 molecule expressed on the Treg surface. LAG-3 structure is similar to that of CD4, providing capacity to interact with the MHC class II. However, contrary to CD4 binding, this interaction results in ITAM-dependent inhibitory signals preventing DC maturation and activation [12,13]. Another cellular target for Treg suppressor activity are Teff cells themselves. Treg cells express on their surface the ÃÂ¡D39 exoenzyme, which catalyzes ATP → AMP transformation. Due to enzymatic activity of another Treg surface molecule, CD73, AMP transforms in adenosine, and extracellular adenosine inhibits activation and proliferation of Teff cells . Yet another Treg membrane molecule involved in inhibition of Teff proliferation is the Galectin-1 lectin, which binds GM1-gangliosides on the surface of the latter . Figure 1: Inhibitory mechanisms used by Treg cells. See the text for details. An important mechanism of immune response suppression by Treg cells is secretion of inhibitory cytokines TGF-β, IL-10 and IL-35, which interact with many cell types and are powerful anti-inflammatory mediators . Interestingly, Treg cells not only secrete TGF-β, but also express on their surface the so-called latent TGF-β1 (LAP-TGF-b1) which is capable to inhibit proliferation of activated Teff cells after cell-to-cell contact . It was demonstrated very recently that Treg are able to suppress Teff functions by secreting exosomes containing a set of miRNA capable to penetrate into Teff cells and inhibit the expression of several genes, which abrogates cell proliferation resulting in apoptotic death . Another mechanism of immune response inhibition used by Treg is killing of Teff cells by secreting perforin and A/B granzymes, which closely resembles the action of cytotoxic lymphocytes: perforin causes formation of pores in target cell membrane and subsequent injection of granzymes, which belong to the family of serine proteases, induces apoptosis in Teff cells . The data obtained in in vitro systems suggested that Treg use an inhibitory mechanism based upon competition for the access to IL-2. IL-2 is the key factor of Treg growth, and Treg cells constitutively express on their surface CD25, the α-chain of high-affinity IL-2 receptor. CD25 – IL-2 binding results in the local IL-2 exhaustion, which limits proliferation and induces apoptosis in Teff cells; quite often, technical assessment of Treg activity is based upon this mechanism [19-21]. However, very recent studies demonstrated that in vivo this inhibitory mechanism is relevant exclusively for CD8+ ÃÂ¢eff cells . The list of immune response inhibitory mechanisms presented above is certainly not exhaustive, and we expect many clarifications and additions in the near future. Besides numerous effector mechanisms of immune suppression, an important field of research is the elucidation of the pathways of Treg activation, including the classical question of immunology: is the antigen-specific recognition involved in Treg cells activation? For a long time, there was a consensus that inhibition of immune response and inflammation by Treg cells has exclusively (or, at least, predominantly) antigen non-specific nature (see Ref. [20,23] for the review). However, many studies convincingly demonstrated that the TCR of Treg cells plays an important role not only at the stage of inter-thymus differentiation and selection, but also determines many aspects of their subsequent activity . Treg cells undergo selection in thymus, as other conventional CD4+ T-lymphocytes do, but the repertoire of their TCR has a clear bias towards high-affinity auto-antigens, thus differing from that of other CD4+ cells; remarkably, repertoire overlapping with Teff concerns exactly auto-reactive clones in the latter population [25-28]. In the periphery, shifts in Treg TCR repertoire depend upon cell localization. Auto-antigen recognition, apparently, plays an important role in survival and homeostatic proliferation of Treg clones, i. e., auto-antigens located in different tissues may select and expand different protective “organ-adapted” Treg clones. This tissue specificity of Treg TCR repertoire was demonstrated in experimental settings: adoptive transfer of Treg cells from the donor lacking a certain organ did not protect recipients from autoimmune disease affecting this organ [29-31]. Treg TCR appeared to be involved in suppression of Teff activation in lymph nodes, since inductive elimination of TCR from the surface of Treg caused destruction of Treg-Teff clusters, decreased Treg suppressor activity and resulted in uncontrolled Teff expansion . Gene engineering studies based upon modifications of adaptor molecules transferring signals from TCR inside the cell also indicated the importance of TCR for Treg inhibitory functioning in vivo [33,34]. In the absence of specific inflammatory signals, the main mission of Treg is preventing activation of auto-reactive Teff cells [7,8]. To successfully accomplish this function, Treg should have advantages in TCR binding with MHC class II molecules on the surface of DC presenting auto-antigens compared to Teff. Indeed, due to specific mode of selection in thymus, TCR of Treg cells recognize self-antigens with high affinity. In addition, Treg cells express on their surface high amounts of adhesive and co-stimulatory molecules, which stabilizes their interactions with DC . After pathogen invasion and trafficking of infected DC from barrier to draining lymphoid organs, the background of ongoing antigen recognition/presentation reactions biases toward infectious agent’s antigens. Here, Teff cells should have advantages in competition with Treg cells due to enormous diversity of their TCR repertoire, which, by definition, provides more potentially reactive clones compared to a more restricted Treg’s repertoire. This results in induction of adaptive immunity and inflammation, which is beneficial for the host until an illusive time point is reached when reactions of immune system become overwhelming. TB is caused by facultative intracellular pathogen Mycobacterium tuberculosis (Mtb) and predominantly affects the lung. Several important topics concerning TB pathogenesis, including early phase of infection, lung granuloma formation, dissemination and general aspects of immune response were the subject of excellent reviews [36-38], and will not be discussed here. For a long time, TB has been considered as the classical prototype condition of chronic inflammation, which presumes an important role of regulatory mechanisms of both its maintenance and restriction. We intend to concentrate exclusively on a relatively understudied issue of the role of Treg cells in TB infection. The lung is a barrier organ directly contacting several potentially pathogenic microorganisms and prone to develop inflammatory reactions in response to these contacts. These reactions are meant to restrict multiplication and dissemination of pathogens, but quite often the overwhelming inflammation jeopardizes lung breathing function, thus threatening the host’s health. Thus, the balance between inflammatory and anti-inflammatory mechanisms is critical for protection against the Mycobacterium tuberculosis-triggered disease, which is not a synonym of protection against infection. Penetration of Mtb into the lung tissue almost instantly induces innate immune response of the host followed by development of acquired immunity. Enormous innate immune system, which consists of several cell types (neutrophils (NÃÂ¤) macrophages (ÃÂÃÂ¤), dendritic cells (DC) and natural killers (NK) ); surface and intracellular receptors, eg., TLR, NOD and others [40,41]; complement system , provides the first line of host defense. Orchestrated innate immune response includes the expression and secretion of pro-inflammatory cytokines, chemokines and surface adhesion receptors (often termed “the cytokine storm” ) leading to both local and systemic activation of immune system. Nevertheless, this cascade of reactions quite often fails to eliminate mycobacteria from the lungs, and the outcome of infection largely relies on the development and optimal quantitative control of acquired immune response. For many years, activation of type 1 T cell immune response in the lungs, with CD4+ T-cells, producing IFN-γ for activation of Mtb-infected macrophages for intracellular mycobacterial killing, was considered as the most prominent protective mechanism against TB [37,43]. Recently, the direct protective role of IFN-γ produced by lung CD4+ T-cells has been seriously questioned, which arises additional concerns about its possible deleterious role as a very toxic, tissue-damaging substance . Similarly, whereas another major pro-inflammatory cytokine, TNF-α, is essential for maintenance of lung granuloma integrity , its excessive secretion is harmful for the lung tissue .Several other inflammatory cytokines, such as IL-1, IL-6 and IL-11 are produced in high amounts in response to Mtb infection, and for each deleterious, rather than protective, effect has been reported [47,48]. Taken together, this evidence from the literature underlines the importance of anti-inflammatory mechanisms operating in the lung. Down-regulation of overwhelming inflammation in tuberculous lung is mediated by different cell types, e. g., epithelial cells and CD103+ dendritic cells , Gr1+cells from the innate immunity pool , and a few T-cell populations, clear boarders between some of which remain not precisely defined. The latter include TR1 cells secreting IL-10 and TGF- β  and TH3 cells secreting TGF-β . However, the most prominent regulatory T-cell population is represented by classical regulatory T-cells (Treg) with the CD4+CD25+Foxp3+ phenotype. As in other types of immune responses, during infection Treg cells are essential for inhibition of proliferation and activation of other cell types, as well as for down regulation of pro-inflammatory molecules secretion. In turn, their activity should be strictly controlled, since the lack of a balance in immune system homeostasis may well lead to chronic inflammation, tissue damage and prolonged mycobacterial persistence [53-55]. In the absence of TB infection, small amounts of pulmonary Foxp3-positive cells can be found in perivascular and peribroncheial locations but not in parenchyma . Early after infection, Mtb-infected phagocytes start to produce pro-inflammatory cytokines and chemokines, which recruit to the site of infection not only fresh NÃÂ¤, MÃÂ¤ and DC, but also lymphocytes, including Treg cells [57-59]. At this early stage of infection, restriction of mycobacterial growth depends exclusively on innate immune response provided by macrophages and neutrophils. Importantly, neutrophils are much less effective killers of mycobacteria compared to macrophages , and this is the first opportunity for Treg cells to influence the level of host protection: recruiting of neutrophils was reported to depend upon CXCL8 signaling pathway provided by Treg . Induction of adaptive immune response occurs after migration of infected phagocytes from the lungs to draining lymph nodes where they prime antigen-specific T-cells. For unknown reasons, DC migration from the lung starts not earlier than 8-11 days post primary infection, and it was hypothesized that Treg cells somehow delay this process, which may have important consequences for the whole infectious course . Backwards migration of primed CD4+ and CD8+ Teff cells from lymph nodes to the lung tissue, along with continuing influx of phagocytes to the primary infection focus, initiate characteristic TB inflammation with granuloma formation. The involvement of Treg cells in granulomatous response is very likely, since these cells are present within inflammatory foci and occupy the same layers of granuloma as CD4+ and CD8+ cells [56-59]. Accumulation of Foxp3+ Treg cells in granuloma supports the hypothesis that during TB infection immune response is suppressed locally, in pulmonary inflammatory sites. It was also speculated that Treg participate in transformation of integral granulomata into necrotic (and later – in cavernous) foci, which leads to Mtb dissemination. At any rate, the content of Foxp3+ Treg cells in patients with miliary TB (a severe form of disseminated infection), both in plasma and BAL, was found to be much higher than in TB patients with other forms of the disease . Quite naturally, possible involvement of Treg cells in maintaining more or less stable, chronic type of TB infection, underlined by mycobacterial persistence and relatively low level of immune response, was intensively studied and discussed. Thus, it was demonstrated that Mtb-infected DC produce CCL17 and CCL22 chemokines, which attract Treg cells to the sites of infection. In addition, infected DC express the PD-L1 molecule interacting with PD-1 molecule on the surface of Treg resulting in their proliferation and local increase of the Treg pool [64-66]. Furthermore, it was reported that simultaneous activity of Mtb and Treg cells may inhibit DC maturation, and that immature DC provide “immune suppressive environment” in the lung tissue and draining lymph nodes by secreting IL-10, TGF-β and IL-35, thus inhibiting Teff activation and proliferation [67-69]. In addition, switches in the expression of chemokine receptors determining migration behavior is more rapid in Treg cells compared to conventional CD4+ cells. This may accelerate migration and accumulation of Treg in infectious foci . Overall, information provided by the growing amount of publications concerning involvement of Treg in TB pathogenesis clearly shows that Treg play an important role at different stages of infectious process. Those include down-regulation of initial innate response in the lung, inhibition of priming and differentiation of Teff cells in draining lymph nodes, their migration to affected sites of the lung, and local suppression of Teff response within granuloma. The most likely consequence of these inhibitory activities would be better survival of Mtb in the lung and disease progression. It was discussed above that the repertoire of Treg TCR is biased towards recognition of auto- (or self) antigens. TB progression is accompanied by strong inflammatory reactions resulting in lung tissue destruction and possible release of novel or modified self-antigens (neo-antigens), which may be presented by the MHC class II products and recognized by previously passive Treg clones. This phenomenon may explain an increased Treg: ÃÂ¢eff ratio in patients with miliary TB compared to patients with localized TB forms . On the other hand, there is compelling evidence that during TB course activation of pathogen-specific Treg cells occurs in regional lymph nodes, alongside with specific Teff activaion [56,62]. Thus, in the mouse model system, using MHC class II-peptide tetramer approach, Treg cells specific to immune-dominant Mtb class II epitope ESAT6-4-17 were found in the regional lymph nodes . Recognition of the same mycobacterial antigen was used as a tool to study Treg cells isolated from mice expressing transgenic ESAT-6-specific TCR. It was demonstrated that these cells readily proliferate in Mtb-infected mice, while Treg cells of different specificity do not. Moreover, antigen-specific Treg showed a very high capacity to inhibit activation of Teff cells in regional lymph node and their migration to the lung: the presence of 50-75 ESAT-6-specific Treg cells in the lymph node was sufficient for suppression . The conditions required for mycobacteria-specific Treg cells origination remain poorly understood. It is possible that the diversity of the total Treg pool is sufficient to provide the clones that are capable to recognize some antigens of mycobacterial origin in the context of MHC class II molecules. On the other hand, the data from non-tuberculous experimental settings indicate that the common CD4+ Teff cells from gastrointestinal tract under certain inflammatory conditions start to express Foxp3+ and reprogram physiological activity, thus transforming into so-called peripheral Treg cells (pTreg) [72,73]. However, for TB infection this pathway was not proved yet . It also remains unknown whether or not specific Treg activation via TCR is requisite for their suppressive activity at inflammatory sites. In vitro studies of the specificity of Treg cells obtained during TB infection are controversial and provide evidence for both nonspecific  and Mtb-specific  mode of Teff inhibition. It is fairly possible that inflammatory sites are infiltrated with Treg cells of different specificity, including self-antigen-, neo-antigenand pathogen-specific subsets, and characterization of Treg surface markers indicates relatively high diversity of the total Treg population [75-79]. However, it remains unknown what is the functional difference between these cells and how their differentiation and activation depends upon their TCR specificity. Yet another important issue concerning Treg functioning is plasticity of these cells. Depending on the context of inflammatory and immunological microenvironment, Treg cells markedly change their migration, suppression and homeostatic functions . TB infection is characterized by the type 1 inflammation, with induction of the T-bet transcriptional factor in naïve CD4+ cells and activation of immune response along the IL-12 → IFN-γ axis. It appeared that under conditions of chronic TB inflammation Treg cells acquire the Teff-like phenotype: start to express T-bet, IFN-γ, IL-12R and chemokine receptor CXCR3, which allows migration of these cells towards the sites of type 1 inflammation . What happens with the suppressor function of such cells remains unclear. Intuitively, understanding Treg differentiation, activation and effector functioning may help to develop TB therapeutic approaches using these cells to control excessive inflammatory and immune reactions in the lung. However, experimental studies in mice provided controversial results, at least concerning a protective effect of Treg depletion in vivo. There were reports on an increase in IFN-γ-producing CD4+ cells pool and a decrease of mycobacterial multiplication and the level of lung pathology after Treg depletion [56,62,80], but the results were not confirmed in independent studies [81,82]. This discrepancy may be explained by an imperfection of the Treg depletion method: anti-CD25 antibodies used in the studies cited above eliminate not only Treg cells, but also activated Teff cells. In addition, overlapping autoimmune inflammation, developing on the background of Treg depletion, makes interpretation of the results ambiguous [4,7]. Overall, although we face much more questions than provide answers concerning Treg functioning in TB, there is no doubt that these cells are an important regulatory element of the disease pathogenesis. Treg cells play critical role in the control of autoimmunity, and many aspects of their physiological activity in maintenance of immune homeostasis were clarified in considerable details during last decades. However, in prolonged inflammatory conditions, including chronic infections, Treg biology is much less well defined. What is the balance point in immune homeostasis on the background of TB infection? On the one hand, the host tries to develop adaptive pathogen-specific immune response, and it is desirable to prevent Treg cells from suppressing corresponding Teff cells. On the other hand, an overwhelming immune response should be prevented in order to limit lung tissue destruction and mycobacterial dissemination. How often we observe the clinical picture reflecting the situation when Treg activity, meant to inhibit excessive response, results in “over-inhibition” of protective immunity? These and many other aspects of Treg biology in health and disease require specific attention and further experimental studying. The work of the authors is financially supported by the Russian Foundation for Basic Research (grants 15-04-02002 to NNL and 16-04-00406 to ASA). Khattri R, Cox T, Fontenot J, Gavin M, Rudensky AY (2003) Foxp3 programs the development and function of CD4+CD25+ regulatory T cells. Nat Immunol 4: 330–336. Hori S, Nomura T, Sakaguchi S (2003) Control of regulatory T cell development by the transcription factor Foxp3. Science 299: 1057–1061. Yasayko SA, Ramsdell F (2003) An essential role for Scurfin in CD4+CD25+ T regulatory cells. Nat Immunol 4: 337–342. Sakaguchi S (2000) RegulatoryTcells: Key controllers of immunologic self-tolerance. Cell 101: 455–458. Shevach EM (2000) Regulatory T cells in autoimmmunity. Annu Rev Immunol 18: 423-449. Godfrey VL, Wilkinson JE, Russel LB (1991) X-linked lympho-reticular disease in the scurfy (sf) mutant mouse. Am J Pathol 138: 1379-1387. Kim JM, Rasmussen JP, Rudensky AY (2007) Regulatory T cells prevent catastrophic autoimmunity throughout the lifespan of mice. Nat Immunol 8: 191–197. Sakaguchi S, Wing K, Onishi Y, Prieto-Martin P, Yamaguchi T (2009) Regulatory T cells: how do they suppress immune responses? Int Immunol 21: 1105–1111. Qureshi OS, Zheng Y, Nakamura K, Attridge K, Manzotti C, et al. (2011) Trans-endocytosis of CD80 and CD86: a molecular basis for the cell-extrinsic function of CTLA-4. Science 332: 600–6033. Fallarino F, Grohmann U, You S, McGrath BC, Cavener DR, et al. (2006) The combined effects of tryptophan starvation and tryptophan catabolites down-regulate T cell receptor zeta chain and induce a regulatory phenotype in naive T cells. J Immunol 176: 6752-6761. Puccetti P, Grohmann U (2007) IDO and regulatory T cells: a role for reverse signaling and non-canonical NF-κB activation. Nat Rev Immunol 7(10): 817–823. Huang CT, Workman CJ, Flies D, Pan X, Marson AL, et al. (2004) Role of LAG-3 in regulatory T cells. Immunity 21: 503–513. Liang B, Workman C, Lee J, Chew C, Dale BM, et al. (2008) Regulatory T cells inhibit dendritic cells by lymphocyte activation gene-3 engagement of MHC class II. J Immunol 180: 5916–5926. Borsellino G, Kleinewietfeld M, Di Mitri D, Sternjak A, Diamantini A, et al. (2007) Expression of ectonucleotidase CD39 by Foxp3+ Treg cells: hydrolysis of extracellular ATP and immune suppression. Blood 110: 1225-1232. Wang J, Lu ZH, Gabius HJ, Rohowsky-Kochan C, Ledeen RW, et al. (2009) Cross-linking of GM1 ganglioside by galectin-1 mediates regulatory T cell activity involving TRPC5 channel activation: possible role in suppressing experimental autoimmune encephalomyelitis. J Immunol 182: 4036-4045. Chen ML, Yan BS, Bando Y, Kuchroo VK, Weiner HL (2008) Latency-associated peptide identifies a novel CD4+CD25+ regulatory T cell subset with TGF beta-mediated function and enhanced suppression of experimental autoimmune encephalomyelitis. J Immunol 180: 7327-7337. Okoye IS, Coomes SM, Pelly VS, Czieso S, Papayannopoulos V, et al. (2014) MicroRNA-containing T-regulatory-cell derived exosomes suppress pathogenic T helper 1 cells. Immunity 41: 89-103. Grossman WJ, Verbsky JW, Barchet W, Colonna M, Atkinson JP, et al. (2004) Human T regulatory cells can use the perforin pathway to cause autologous target cell death. Immunity 21: 589-601. Pandiyan P, Zheng L, Ishihara S, Reed J, Lenardo MJ ( 2007) CD4+CD25+FoxP3+ regulatory T cells induce cytokine deprivation-mediated apoptosis of effector CD4+ T cells. Nat Immunol 8: 1353-1362. Vignali DA, Collison, LW, Workman CJ (2008) How regulatory Tcells work. Nat Rev Immunol 8: 523-532. Miyara M, Sakaguchi S (2007) Natural regulatory T cells: mechanisms of suppression. Trends Mol Med 13: 108-116. Chinen T, Kannan AK, Levine AG, Fan X, Klein U, et al. (2016) An essential role for the IL-2 receptor in Treg cell function Nat Immunology 17: 1322-1333. Chaudhry A, Rudensky A (2013) Control of inflammation by integration of environmental cues by regulatory T cells. J Clin Invest 123: 939-944. Vahl JC, Drees C, Heger K, Heink S, Fischer JC, et al. (2014) Continuous T cell receptor signals maintain a functional regulatory T cell pool. Immunity 41 : 722-736. Pacholczyk R, Ignatowicz H, Kraj P, Ignatowicz L (2006) Origin and T cell receptor diversity of Foxp3+CD4+CD25+ T cells. Immunity 25: 249-259. Kasow KA, Chen X, Knowles J, Wichlan D, Handgretinger R (2004) Human CD4+CD25+ regulatory T cells share equally complex and comparable repertoires with CD4+CD25- counterparts. J Immunol 172: 6123-6128. Fazilleau N, Bachelez H, Gougeon M L and Viguier M (2007) Cutting edge: size and diversity of CD4+CD25 high Foxp3+ regulatory T cell repertoire in humans: evidence for similarities and partial overlapping with CD4+CD25-T cells. J Immunol 179: 3412–3416. Wong J, Obst R, Correia-Neves M, Losyev G, Mathis D, et al. (2007) Adaptation of TCR repertoires to self-peptides in regulatory and non-regulatory CD4+ T cells. J Immunol 178: 7032–7041. Samy ET, Parker LA, Sharp CP, Tung KS (2005) Continuous control of autoimmune disease by antigen-dependent polyclonal CD4+CD25+ regulatory T cells in the regional lymph node. J Exp Med 202: 771-781. Seddon B, Mason D (1999) Peripheral autoantigen induces regulatory T cells that prevent autoimmunity. J Exp Med 189: 877-882. Lathrop SK, Santacruz NA, Pham D, Luo J, Hsieh CS (2008) Antigen-specific peripheral shaping of the natural regulatory T cell population. J Exp Med 205: 3105-3117. Liu Z, Gerner MY, Van Panhuys N, Levine AG, Rudensky AY, et al. ( 2015) Immune homeostasis enforced by co-localized effector and regulatory T cells. Nature 528: 225-230. Hsu LY, Tan YX, Xiao Z, Malissen M, Weiss A (2009) A hypomorphic allele of ZAP-70 reveals a distinct thymic threshold for autoimmune disease versus autoimmune reactivity. J Exp Med 206: 2527- 2541. Chuck MI, Zhu M, Shen S, Zhang W (2010) The role of the LAT-PLC-gamma1 interaction in T regulatory cell function. J Immunol 184: 2476-2486. Gratz IK, Campbell DJ (2014) Organ-specific and memory Treg cells: specificity, development, function, and maintenance. Front Immunol 5:1-17. Russell DG (2007) Who puts the tubercle in tuberculosis? Nat Rev Microbiol 5: 39-47. O’Garra A, Redford PS, McNab FW, Bloom CI, Wilkinson RJ, et al. (2913) The immune response in tuberculosis. Ann Rev Immunol 31: 475-527. Orme IM, Robinson RT, Cooper AM (2015) The balance between protective and pathogenic immune responses in the TB-infected lung. Nat Immunol 16: 57-63.
van Crevel R, Ottenhoff TH, van der Meer JW (2002) Innate immunity to Mycobacterium tuberculosis. Clin Microbiol Rev 15: 294-309. Ferwerda G, Girardin SE, Kullberg BJ, Le Bourhis L, de Jong DJ, et al. (2005) NOD2 and toll-like receptors are nonredundant recognition systems of Mycobacterium tuberculosis. PLoS Pathog 1: 279-285. Gandotra S, Jang S, Murray PJ, Salgame P, Ehrt S (2007) Nucleotide binding oligomerization domain protein 2-deficient mice control infection with Mycobacterium tuberculosis. Infect Immun 75: 5127–5134. Schlesinger LS, Bellinger-Kawahara CG, Payne NR, Horwitz MA (1990) Phagocytosis of Mycobacterium tuberculosis is mediated by human monocyte complement receptors and complement component C3. J Immunol 144: 2771-2780. Flynn JL, Chan J, Triebold KJ, Dalton DK, Stewart TA, et al. (1993) An essential role for interferon gamma in resistance to Mycobacterium tuberculosis infection. J Exp Med 178: 2249–2254. Sakai S, Kauffman KD, Sallin MA, Sharpe AH, Young HA, et al. (2016) CD4 T cell-derived IFN-γ plays a minimal role in control of pulmonary Mycobacterium tuberculosis infection and must be actively repressed by PD-1 to prevent lethal disease. PLoS Pathog 12: e1005667. Rook GAW, Hernandez-Pando R (1996) The pathogenesis of tuberculosis. Ann Rev Microbiol 50: 259-282. Allie N, Grivennikov SI, Keeton R, Hsu NJ, Bourigault ML, et al. (2013) Prominent role for T cell-derived tumour necrosis factor for sustained control of Mycobacterium tuberculosis infection. Sci Rep 3: 1809. Dorhoi A, Reece ST, Kaufmann SHE (2011) For better or for worse: the immune response against Mycobacterium tuberculosis balances pathology and protection. Immunol Rev 240: 235-251. Shepelkova G, Evstifeev V, Majorov K, Bocharova I, Apt A (2016). Therapeutic effect of recombinant mutated interleukin 11 in the mouse model of tuberculosis. J Infect Dis 214:496-501. Leepiyasakulchai C, Ignatowicz L, Pawlowski A, Kallenius G, Skold M (2012) Failure to recruit anti-inflammatory CD103+ dendritic cells and a diminished CD4+Foxp3+ regulatory T cell pool in mice that display excessive lung inflammation and increased susceptibility to Mycobacterium tuberculosis. Infect Immun 80: 1128-1139. Obregón-Henao A, Henao-Tamayo M, Orme IM, Ordway DJ (2013) Gr1(int)CD11b+ myeloid-derived suppressor cells in Mycobacterium tuberculosis infection. PLoS One 8: e80669. Zeng H, Zhang R, Jin B, Chen L (2015) Type 1 regulatory T cells: a new mechanism of peripheral immune tolerance. Cell Mol Immunol 12: 566-571. Weiner HL (2001) Induction and mechanism of action of transforming growth factor-beta-secreting Th3 regulatory cells. Immunol Rev 182: 207-214. Berod L, Puttur F, Huehn J, Sparwasser T (2012) Tregs in infection and vaccinology: heroes or traitors? Microb Biotechnol 5: 260–269. Belkaid Y, Piccirillo CA, Mendez S, Shevach EM, Sacks DL (2002) CD4+CD25+ regulatory T cells control Leishmania major persistence and immunity. Nature 420: 502-507. Belkaid Y, Tarbell K (2009) Regulatory Tcells in the control of host-microorganism interactions. Annual Rev Immunol 27:551-589. Scott-Browne JP, Shafiani S, Tucker-Heard G, Ishida-Tsubota K, Fontenot JD, et al. (2007) Expansion and function of Foxp3-expressing T regulatory cells during tuberculosis. J Exp Med 204: 2159-2169. Welsh KJ, Risin SA, Actor JK, Hunter RL (2011) Immunopathology of post-primary tuberculosis: increased T-regulatory cells and DEC-205 positive foamy macrophages in cavity lesions. Clin Dev Immunol. Rahman S, Gudetta B, Fink J, Granath A, Ashenafi S, et al. (2009) Compartmentalization of immune responses in human tuberculosis: few CD8+ effector T cells but elevated levels of FoxP3+ regulatory T cells in the granulomatous lesions. Am J Pathol 174: 2211-2224. Green AM, Mattila JT, Bigbee CL, Bongers KS, Lin PL, et al. (2010) CD4+ regulatory T cells in a cynomolgus macaque model of Mycobacterium tuberculosis infection. J Infect Dis 202: 533-541. Corleis B, Korbel D, Wilson R, Bylund J, Chee R, Schaible U (2012) Escape of Mycobacterium tuberculosis from oxidative killing by neutrophils. Cell Microbiol 14:1109-1121. Himmel ME, Crome SQ, Ivison S, Piccirillo C, Steiner TS, et al. (2011) Human CD4+FOXP3+ regulatory T cells produce CXCL8 and recruit neutrophils. Eur J Immunol 41: 306-312. Shafiani S, Tucker-Heard G, Kariyone A, Takatsu K, Urdahl KB (2010) Pathogen-specific regulatory T cells delay the arrival of effector T cells in the lung during early tuberculosis. J Exp Med 207: 1409–1420. Sharma PK, Saha PK, Singh A, Sharma SK, Ghosh B, et al. (2009) FoxP3+ regulatory T cells suppress effector T-cell function at pathologic site in miliary tuberculosis. Am J Respir Crit Care Med 179: 1061-1070. Periasamy S, Dhiman R, Barnes PF, Paidipally P, Tvinnereim A, et al. (2011) Programmed death 1 and cytokine inducible SH2-containing protein dependent expansion of regulatory T cells upon stimulation with Mycobacterium tuberculosis. J Infect Dis 203: 1256-1263. Wang L, Pino-Lagos K, de Vries VC, Guleria I, Sayegh MH, et al. (2008) Programmed death-1 ligand signaling regulates the generation of adaptive Foxp3+CD4+ regulatory T cells. Proc Natl Acad Sci U S A 105: 9331-9336. Trinath J, Maddur MS, Kaveri SV, Balaji KN, Bayry J (2012) Mycobacterium tuberculosis promotes regulatory T-cell expansion via induction of programmed death-1 ligand 1 (PD-L1, CD274) on dendritic cells. J Infect Dis. 205: 694-696. Perruche S, Zhang P, Liu Y, Saas P, Bluestone JA, et al. (2008) CD3-specific antibody-induced immune tolerance involves transforming growth factor-beta from phagocytes digesting apoptotic T cells. Nat Med 14: 528–535. Steinman RM, Hawiger D, Nussenzweig MC (2003) Tolerogenic dendritic cells. Ann Rev Immunol 21: 685–711. Maldonado RA, von Andrian UH (2010) How tolerogenic dendritic cells induce regulatory T cells. Adv Immunol. 108: 111–165. Lee JH, Kang SG, Kim CH (2007) FoxP3+ T cells undergo conventional first switch to lymphoid tissue homing receptors in thymus but accelerated second switch to non-lymphoid tissue homing receptors in secondary lymphoid tissues. J Immunol 178: 301-311. Shafiani S, Dinh C, Ertelt JM, Moguche AO, Siddiqui I, et al. (2013) Pathogen-specific Treg cells expand early during Mycobacterium tuberculosis infection but are later eliminated in response to interleukin-12. Immunity 38: 1261-1270. Lathrop SK, Bloom SM, Rao SM, Nutsch K, Lio CW, et al. (2011) Peripheral education of the immune system by colonic commensal microbiota. Nature 478: 250-254. Josefowicz SZ, Niec RE, Kim HY, Treuting P, Chinen T, et al. (2012) Extra-thymically generated regulatory T cells control mucosal Th2 inflammation. Nature 482: 395-399. Hougardy J, Place S, Hildebrand M, Drowart A, Debrie AS, et al. (2007) Regulatory T cells depress immune responses to protective antigens in active tuberculosis. Am J Respir Crit Care Med 176: 409-416. Guyot-Revol V, Innes JA, Hackforth S, Hinks T, Lalvani A (2006) Regulatory T cells are expanded in blood and disease sites in patients with tuberculosis. Am J Respir Crit Care Med. 173: 803-810. Pang H, Yu Q, Guo B, Jiang Y, Wan L, et al. (2013) Frequency of regulatory T-cells in the peripheral blood of patients with pulmonary tuberculosis from Shanxi province, China. PLoS ONE 8:e65496. Ordway D, Henao-Tamayo M, Harton M, Palanisamy G, Troudt J, et al. (2007) The hypervirulent Mycobacterium tuberculosis strain HN878 induces a potent TH1 response followed by rapid down-regulation. J Immunol 179:522-531. Chiacchio T, Casetti R, Butera O, Vanini V, Carrara S, et al. (2009) Characterization of regulatory T cells identified as CD4+CD25 high CD39+ in patients with active tuberculosis. Clin Exp Immunol 156: 463-470. Feruglio SL, Tonby K, Kvale D, Dyrhol-Riise AM (2015) Early dynamics of T helper cell cytokines and T regulatory cells in response to treatment of active Mycobacterium tuberculosis infection. Clin Exp Immunol 179: 454-465. Kursar M, Koch M, Mittrücker HW, Nouailles G, Bonhagen K, et al. (2007) Cutting edge: regulatory T cells prevent efficient clearance of Mycobacterium tuberculosis. J Immunol 178: 2661-2665. Quinn KM, McHugh RS, Rich FJ, Goldsack LM, de Lisle GW, et al. (2006) Inactivation of CD4+CD25+ regulatory T cells during early mycobacterial infection increases cytokine production but does not affect pathogen load. Immunol Cell Biol 84: 467– 474. Ozeki Y, Sugawara I, Udagawa T, Aoki T, Osada-Oka M, et al. (2010) Transient role of CD4+CD25+ regulatory T cells in mycobacterial infection in mice. Int Immunol 22: 179-189.